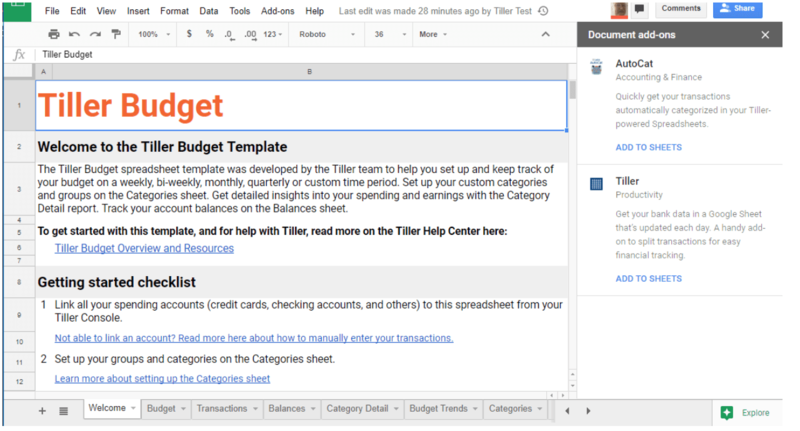 Google has rolled out an awesome new feature that lists the add-ons installed in a document (such as our Tiller spreadsheets). This window lists any add-ons installed in the sheet. Simply click the “USE” menu item to view the functionality of the sheet. That shared user now has the option to add and use the add-ons themselves by clicking on the “ADD TO SHEETS” item. 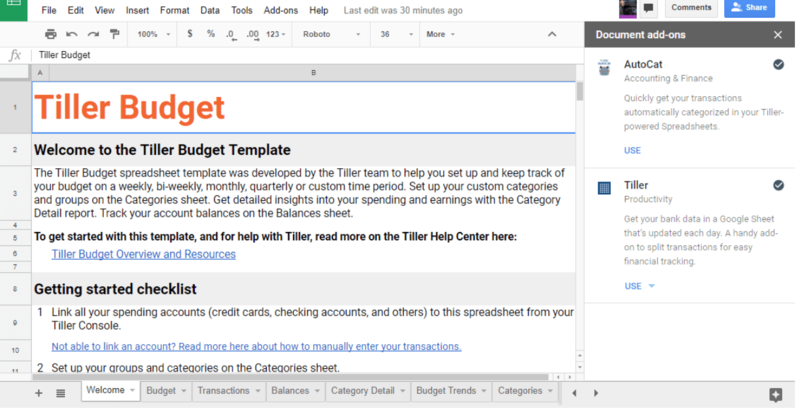 Now, all add-ons can be shared when the sheet is shared.